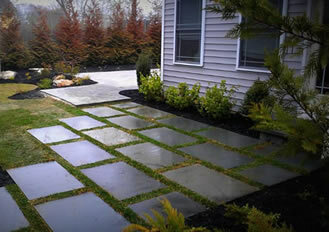 Blue stone steps and stone walls Garden City. 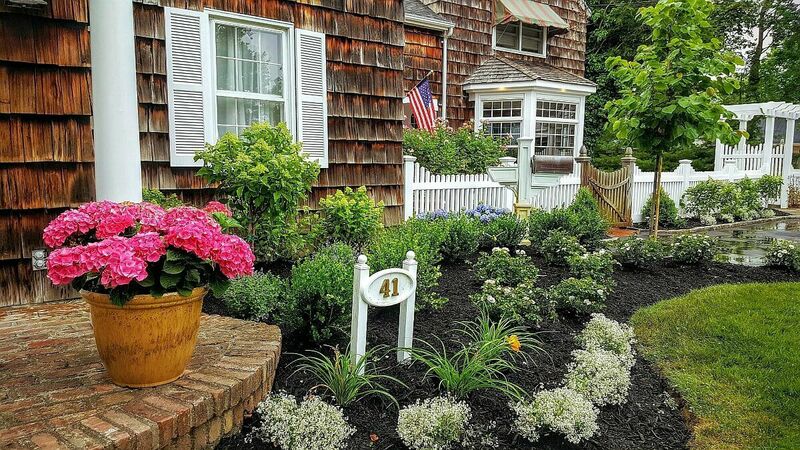 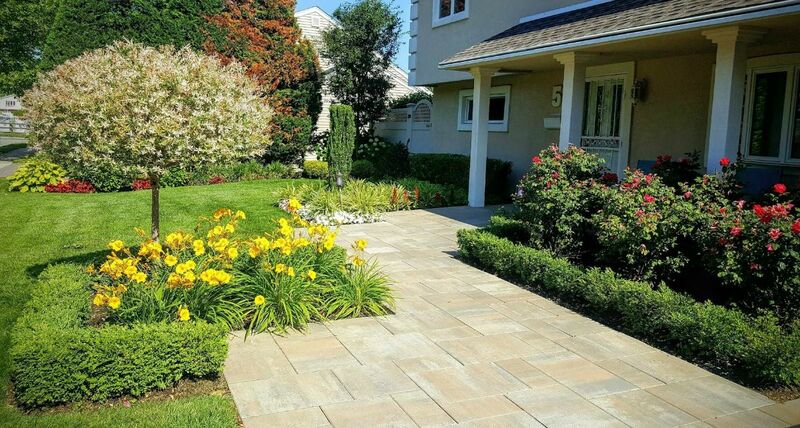 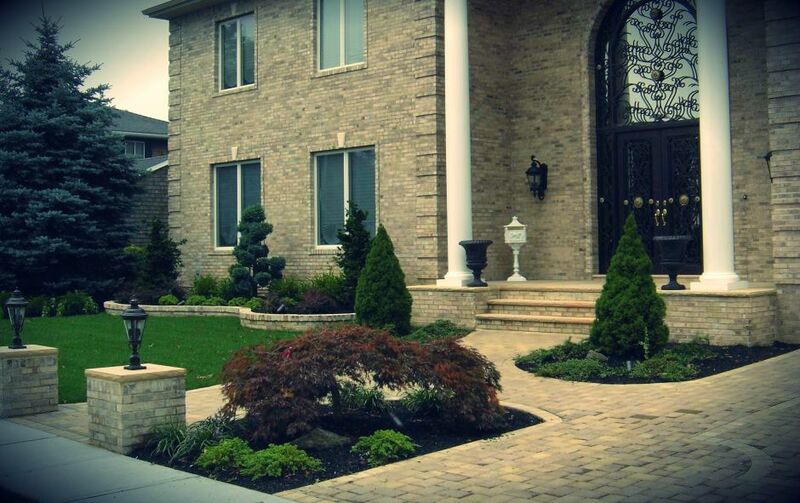 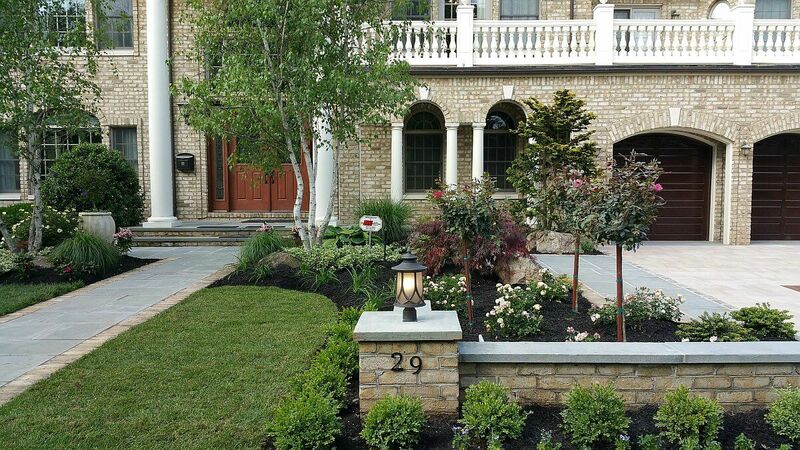 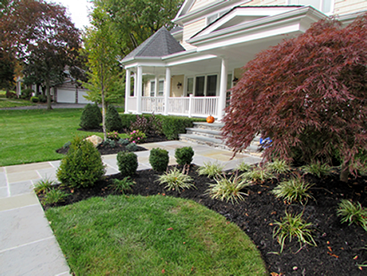 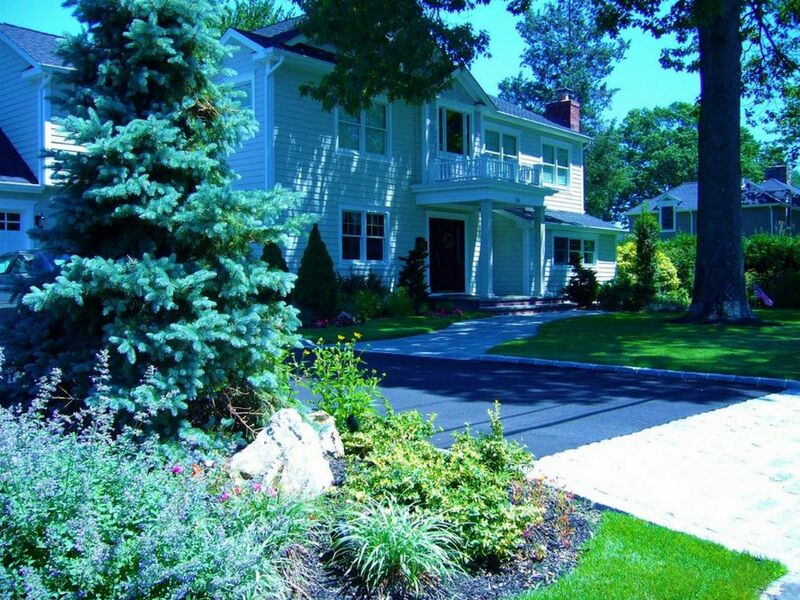 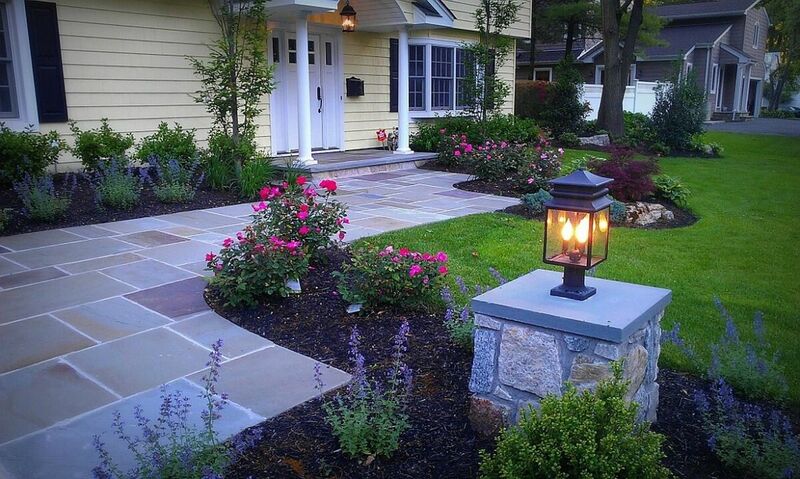 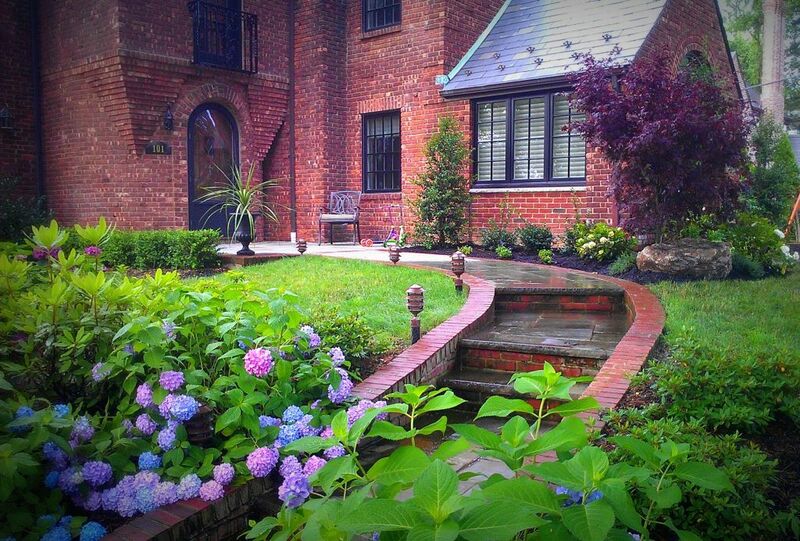 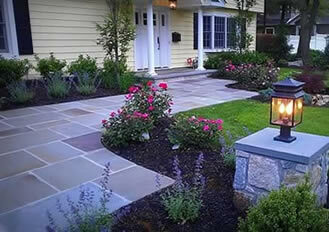 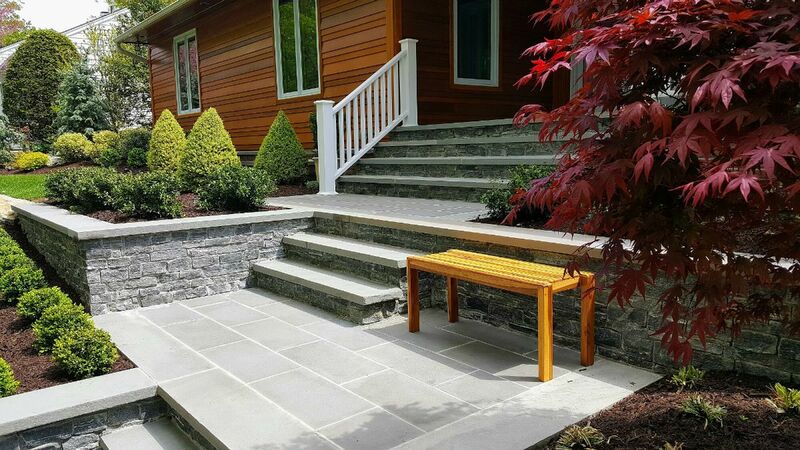 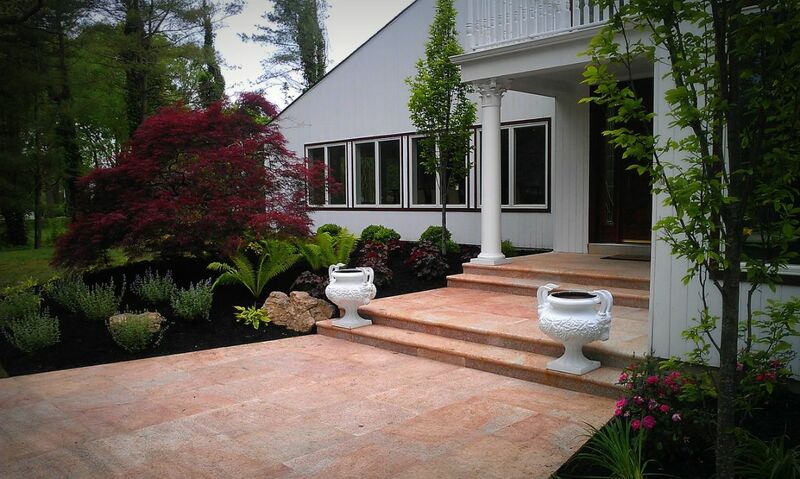 Manhasset front entryway landscape, landscape installers. 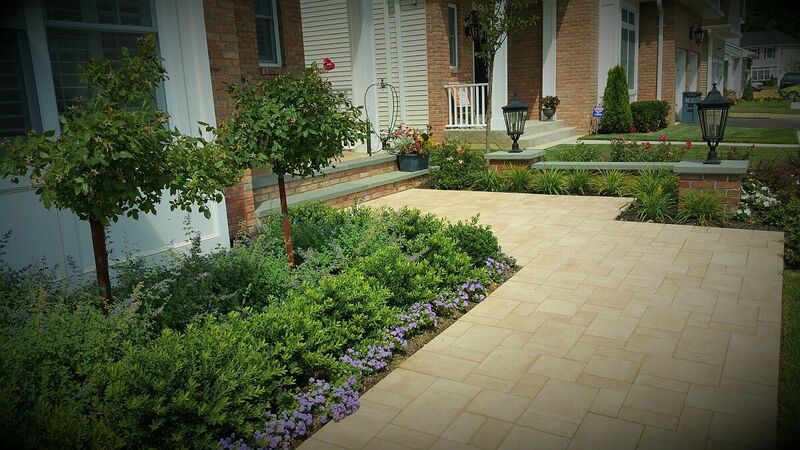 Cambridge pavers Front entryway Design. 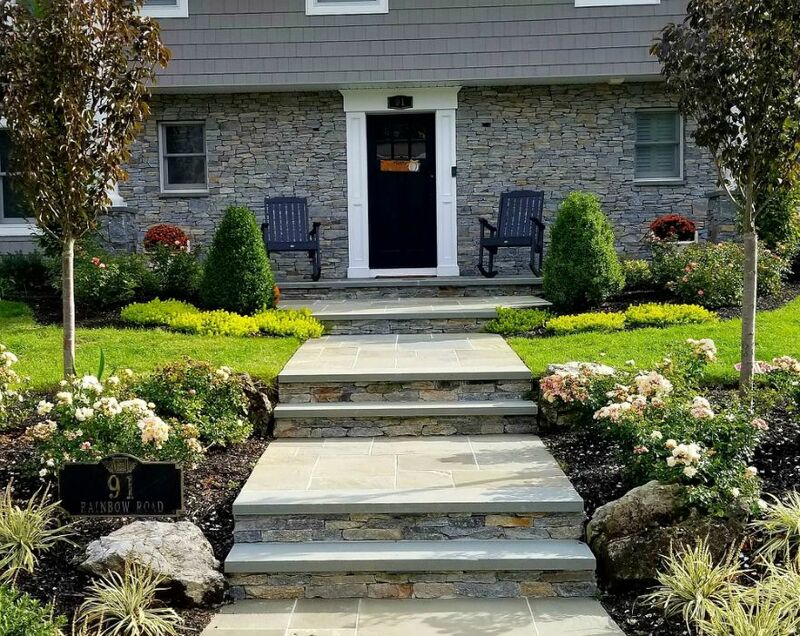 East Hills Bluestone walkway leading to stone stoop. 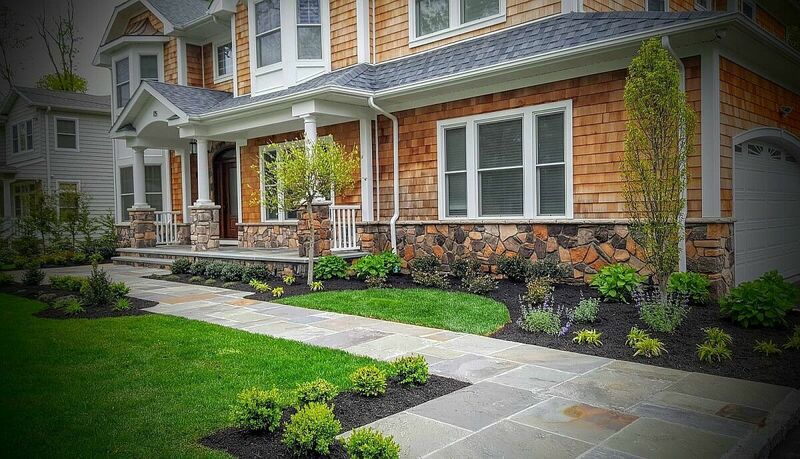 Stone walkway, front stoop and stone veneer. 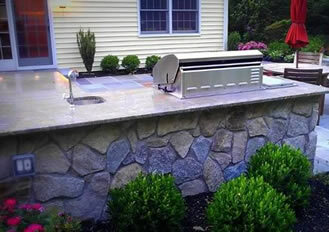 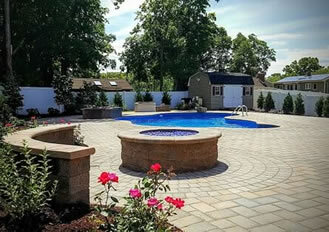 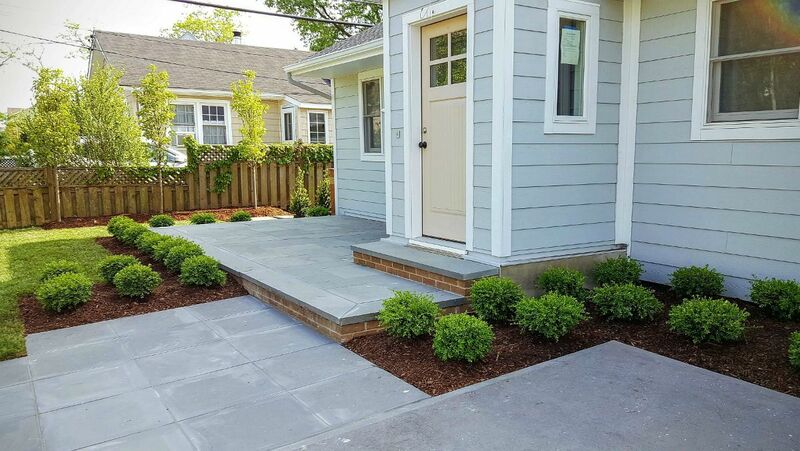 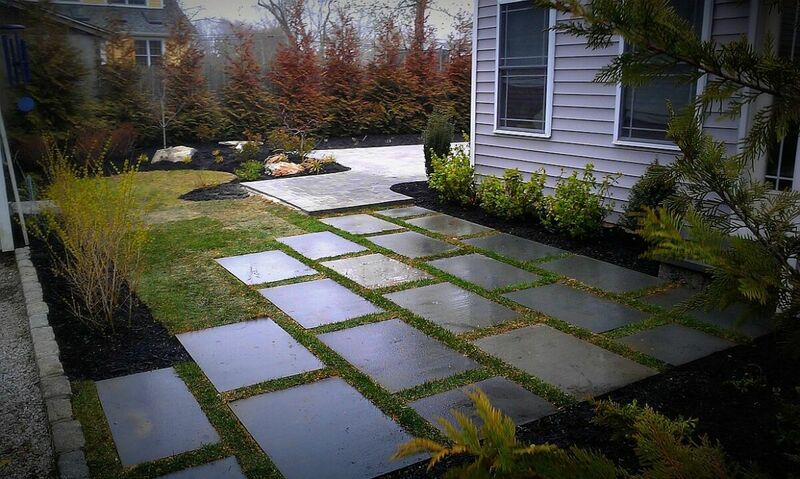 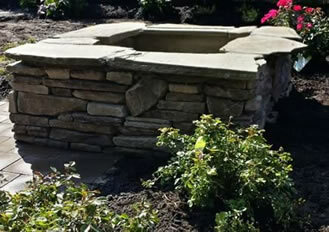 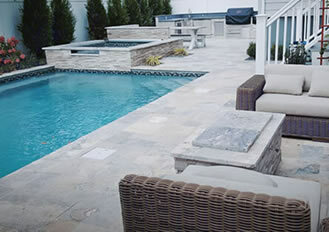 Modern design Atlantic Beach Bluestone and Boxwoods. 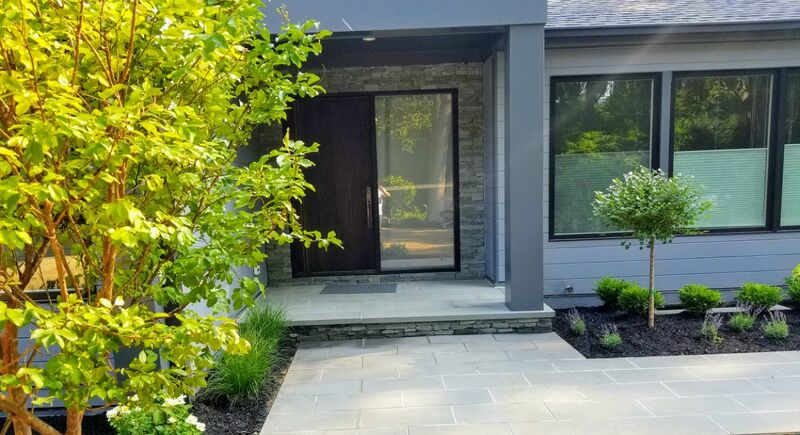 It's very important for your house to have a nice entryway its the first thing you or your guest see before they enter your home. 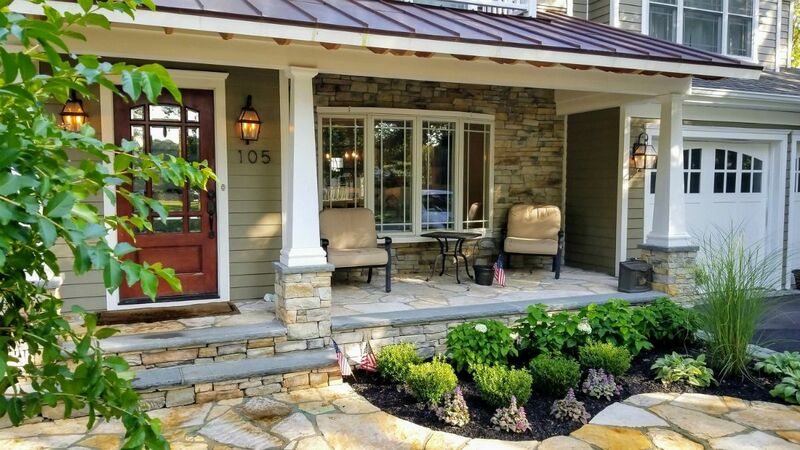 Depending on the style of your home (modern, traditional, cottage, etc) you want to incorporate that look into your entryway. 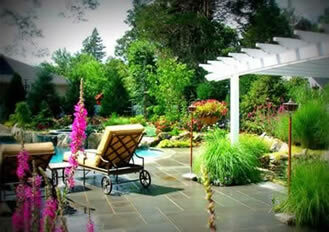 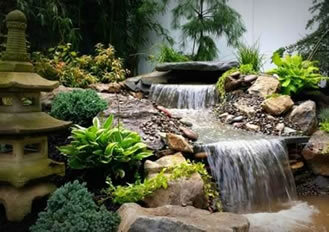 The idea is to give it a cohesive look that will add to your home so is not to clash with it.